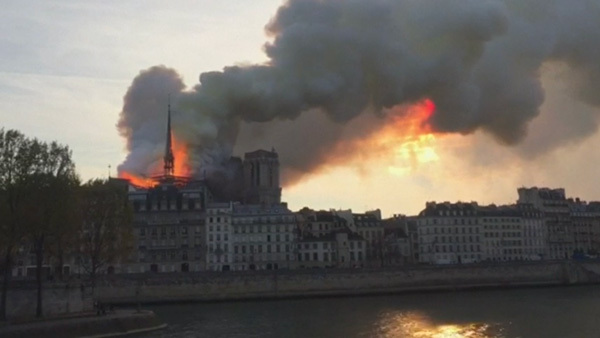 It's absolutely tragic watching a huge and very fierce fire burning in Notre-Dame de Paris which is gutting the building. 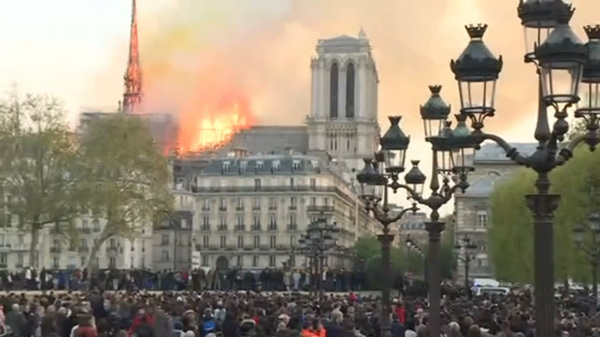 Many, many people in Paris and around the world are watching as huge flames burst through what was the roof. Both sides of the Seine are lined with thousands of people watching the fire. 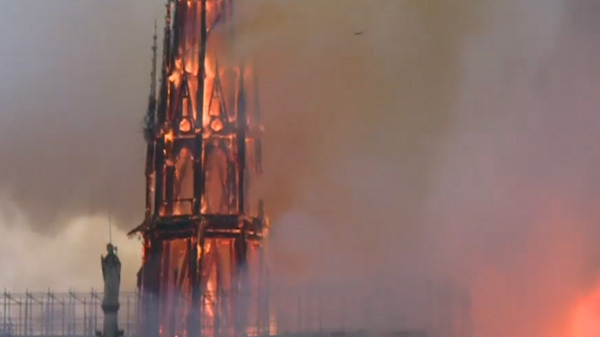 The spire and roof have already been lost. 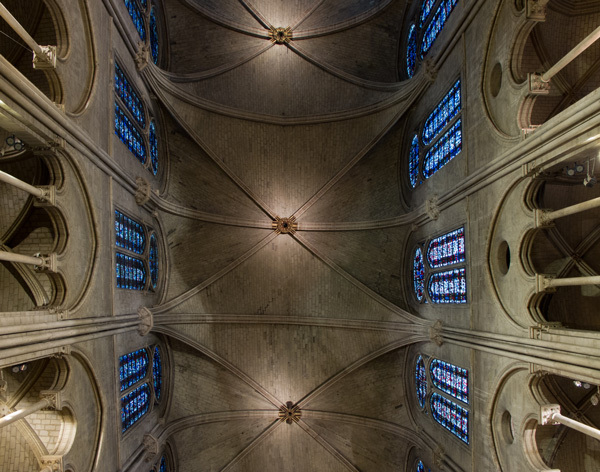 The vaulted roof was completed in 1208.
a number of priceless artefacts may not have been removed in time. 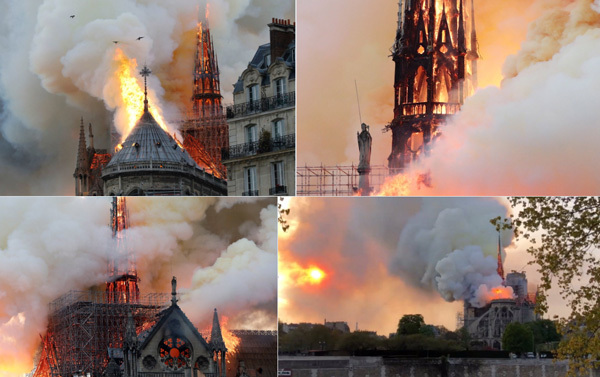 It's possible that nothing will be left of this cathedral by the time the fire is put out. You can see my photos of the cathedral (in 2009) on Facebook - which includes views of the interior. 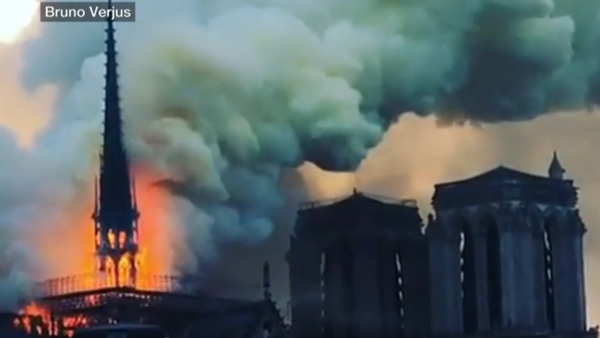 Yet again, it's awful to see a major iconic building under renovation be destroyed by a fire. The cause of the fire is not known - but it's reasonable to suppose it's something to do with the works.